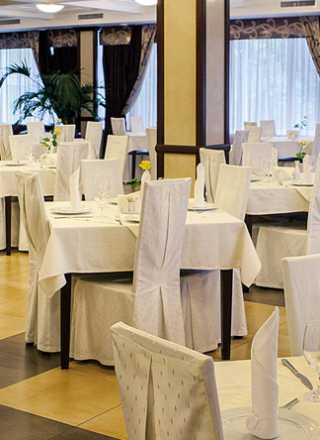 Grand Marine Hotel & SPA - modern hotel in Odessa, meeting the highest standards. We offer you four categories of rooms. Medical recreational complex «Grand Marine» is situated close to the Black Sea beach so the sea iodine rich air endowed with healthy powers will influence the state of your health in the best possible way. You want to be in good health but don’t know what to start with? Start with coming to the medical recreational complex «Grand-Marine». It is possible to take the program either staying at the medical center or visiting it to take the procedures. On the territory of the medical recreational SPA hotel "Grand Marine" there are two underground springs of natural mineral medicinal water. We successfully provide complex treatment of cardiac diseases, airway diseases female and male genital spheres diseases, digestive tract diseases, metabolic imbalance. In the medical center Grand Marine there is a clinical laboratory and functional diagnostics department (diagnostics and consultations). Modern equipment and medical technologies development allow to perform painless and non-traumatic surgeries in the hospital. A medical health complex Grand Marine is actively developing the medical tourism on its basis offering the full package of a medical tourist. Меню ресторана и лобби-бара состоит из разнообразных блюд европейской кухни и фирменных предложений шеф-повара. Up -to-date equipped lobby bar is suitable for any business meeting, corporate events, buffet, or for negotiations in informal atmosphere. The choice of venue for your conference, training, seminar, meeting or business meeting depends on the requirements you impose on the organization of your event. Make your choice in favor of Grand Marine Hotel & SPA and see in a new light the possibilities of one of the best complexes in Odessa. 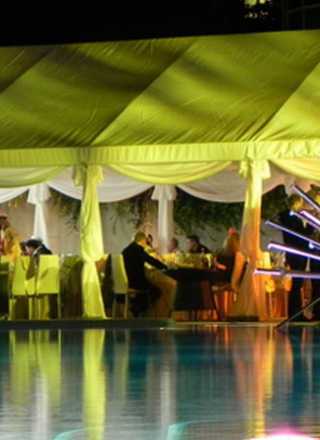 We guarantee exclusivity of your event and unforgettable impressions that will remain in the memory of every guest. Grand Marine Hotel & SPA- the best combination of services for your beauty, health and rest which can be offered by the hotels of Odessa! 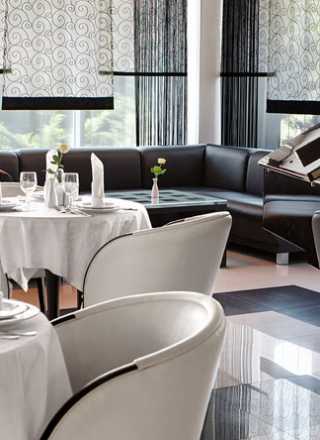 Grand Marine Hotel & SPA - the modern hotel in Odessa which is up to the highest standards. Not every hotel in Odessa can brag of such a high level of service. The perfect work of the hotel personnel makes your staying in Grand Marine Hotel & SPA unforgettable. Spa hotel offers a wide range of services for your rest and rehabilitation. They are swimming pools, springs of medical mineral water, multifunctional medical center. Immaculateness in our rooms will also remain unnoticed by you. For those who wish to combine sport and rest there is a possibility to spend time "with the benefit for your body" swimming in the pool, playing tab le tennis. For those who have come to improve their health there are leading medical specialists working in medical center Grand Marine Hotel & SPA. Choosing a hotel in Odessa make your choice in favour of Grand Marine Hotel & SPA!